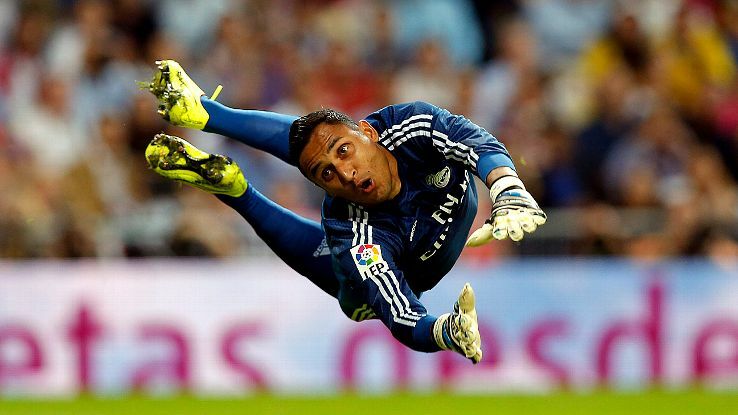 If kameni is worth writing a article in my blog, then keylor navas deserves much better appreciation than anyone. Benitez has made the defense immune to any attack till now…navas and casemiro are the ones to praise for thier efforts. Rafa is known for using academy players and giving youth valuable minutes in the starting eleven. Lucas Vázquez and Denis Cheryshev are getting useful playing time and Vázquez has been involved in providing some important assists to key players in the attacking line up. Coming to navas, we have to thank Manchester united for sending the contract papers late, other wise keylor would have ended up in EPL. Although i don’t doubt the ability of de gea…the perfomances put up by keylor from the start of the campaign has made madridismo forget about the unsuccessful deal of bring de gea to Santiago bernabeu. From crying on the deadline day of transfer window to earning a place in the hearts of los blancos fans is quite a tough and memorable journey for the costa rican shot stopper.Also keylor has been unbeaten in champions league in his two seasons with the whites, as no team is able to break the deadlock when keylor is guarding the los vikingos goal. A page in the history books of Real Madrid has been dedicated to this Rafa Benitez’s side for conceding only 3 goals in the first 9 match days of the la liga. Although we are unbeaten till now, but after seeing last season’s downfall in the second half of the season makes me to keep my cool till the end of the season.